Ninth Letter is quite fond of the work of Eric LeMay, whose digital essay marvel, Losing the Lottery will lose you a lot of virtual money, but probably save you scads of real money in the future, all the while greatly entertaining you. 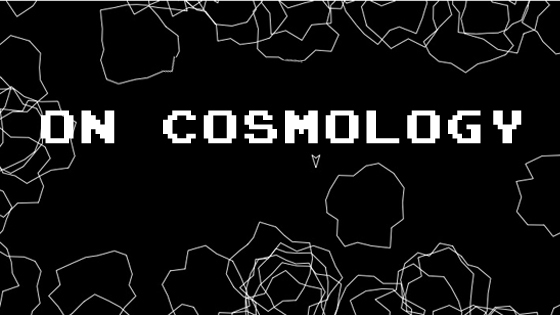 Now we are proud to feature his latest digital essay/construction, On Cosmology, which features the classic video game Asteroids, the cheery voice of Werner Hertzog, and a suicidal penguin. I have to admit, I was never much of an Asteroids player. So many asteroids, not enough space bullets, compounded by my clumsy fingers. But hearing Hertzog intone his take on the meaninglessness of the universe while space rocks are exploding on the screen is a rare treat. I won't confess how low my score was, but the consolation prize is the video of a penguin on a doomed march to nowhere, narrated by--of course--Mr. Hertzog himself. Eric LeMay has taught writing at Harvard, Columbia, and the University of Chicago. He is currently on the faculty of the writing program at Ohio University, his alma mater. He serves as an associate editor for the New Ohio Review and the web editor for Alimentum: The Literature of Food. He is also a host on the New Books Network. His work has appeared in The Paris Review, Gastronomica, Poetry Daily, the Best Food Writing series, and other venues.